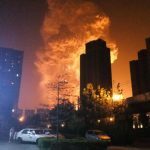 Workers and residents reacted to the huge explosion of Tianjin in China of a hazardous chemical warehouse that killed and injured hundreds of firefighters, neighbors and factory workers. At the same time, Chinese economic troubles engender revolt. 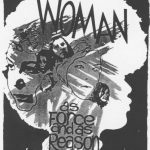 The article excerpts a summary of a talk by Dunayevskaya to a conference on Women’s Liberation in Detroit. The purpose of the meeting was to help Dunayevskaya work out the final chapter of her book then in progress, Philosophy and Revolution. That last chapter would take up the “New Passions and New Forces” for the reconstruction of society. The Conference was also the beginning of the News & Letters—Women’s Liberation Committee. 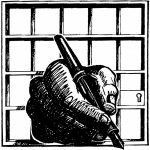 The thoughts of News & Letters readers on: MARXIST-HUMANIST PHILOSOPHY IN THE WHIRLWIND OF EVENTS; SAVING THE PLANET; and VOICES FROM BEHIND THE BARS. 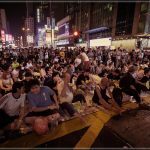 Hundreds of people in Hong Kong marched to People’s Republic of China government offices on Nov. 9 to demand direct negotiations with the government of China and to oppose sham democratic elections planned for 2017. Marchers began from encampments of thousands of protesters who had been maintaining blockades of major thoroughfares for more than six weeks…. 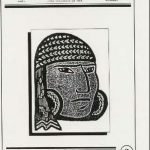 La nueva edicion de Praxis en America Latina. Esperamos sus comentarios. Por favor, reenvíenla a sus redes y contactos. A la barbarie del Estado mexicano, sus adherentes y secuaces, nosotros le oponemos la necesidad de construir un nuevo humanismo, la unidad de teoría y práctica —en suma: la revolución en permanencia.